You’re driving through the vast, seemingly emptiness of south central Saskatchewan. Field after field, farm after farm, this is the real “middle of nowhere” that everyone always refers to when talking about Saskatchewan. You can tell you’re nearing the river when you start to see hills. You’ve come upon the Hutterite colony, with it’s huge quonsets and long, white houses. There are a few men out working and it’s nearing lunchtime so you guess that the women are inside cooking. You could stop in for a bag of homemade buns and garden fresh peas, but you’ve got somewhere to be. You follow the signs south. They have nothing more than a picture of a sandcastle and an arrow on them. You’re driving on a dirt road and it feels as if you’re trespassing. You’re driving through fields and pastures, over texas gates, the cows staring at you as you pass. Technically you are trespassing. This land is privately owned, but the owners are kind enough to let strangers drive over their roads, just so they can witness the spectacle. Saskatchewanians are always willing to share the beauty of their land with the visitor. You come around a curve at the crest of a hill and you finally see the river. You see something else. A sign. It’s the sign for the sandcastles. You pull over and park, thinking, “there’s the sign, but there’s no sign of the sandcastles”. You get out of your car and start walking towards the sign. That’s when you see it. Over the edge of the hill, down towards the river. It’s huge. It came out of no where. It’s exactly what they say it is, a huge sandcastle. It juts out of the side of the hill, looking a bit like a sea monster trying to snake it’s way back to the river, but it doesn’t quite make it. You hike down the side of the hill towards it. There’s a path worn in the native prairie grass, it’s lined with wildflowers and cacti. 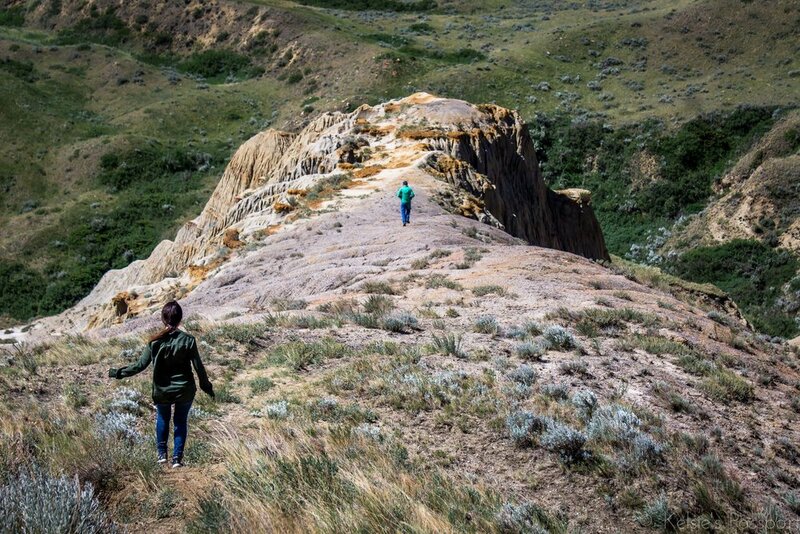 The going is a bit steep and rocky, so you watch your step, alternating between inching your way down and running when the path is too unpredictable to go slowly. The path levels off and before you know it you’re walking on what looks like the back of an ancient creature. 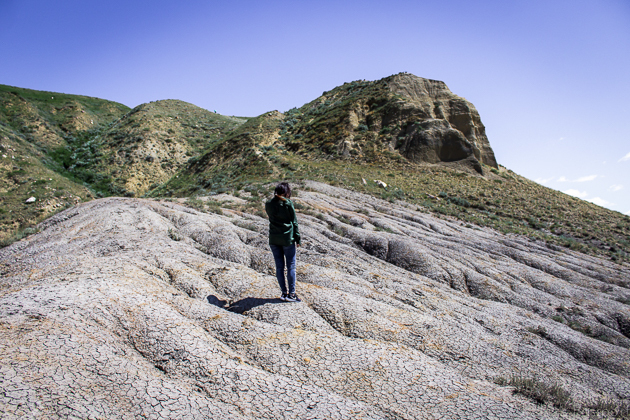 You feel as if you’ve retreated 50 million years in just fifty steps. The path snakes along the spine of the monster and you go as far as you dare to the end of the tail. The view of the river to the south is magnificent. It’s so hot out you wish you could jump off the sandcastle straight into the water. Although it looks like only a short walk away, you know the prairie is deceiving and it’s farther than it seems. There are more wildflowers and cacti growing on the crest of the castle. The scenery is so unique, yet so familiar. If you were transported here from some place far away, you’d never guess that you were in Saskatchewan, Canada. That’s the thing about Saskatchewan, though, it surprises you all the time. This site is just one of the many idiosyncrasies of this province in the Great White North. Don’t ever think you know Saskatchewan, because it can surprise even the people that have lived here their whole lives. The Beechy Sandcastles are located 7.2km West of Beechy on Hwy 342, then 29km South on Howendale Road. Someone drew a nifty map - click here. The best time to visit is May-October, as the road is impassible when wet and when under snow. Further down the dirt road from the sandcastles is the Sunken Hill, which is also a treasure to see. 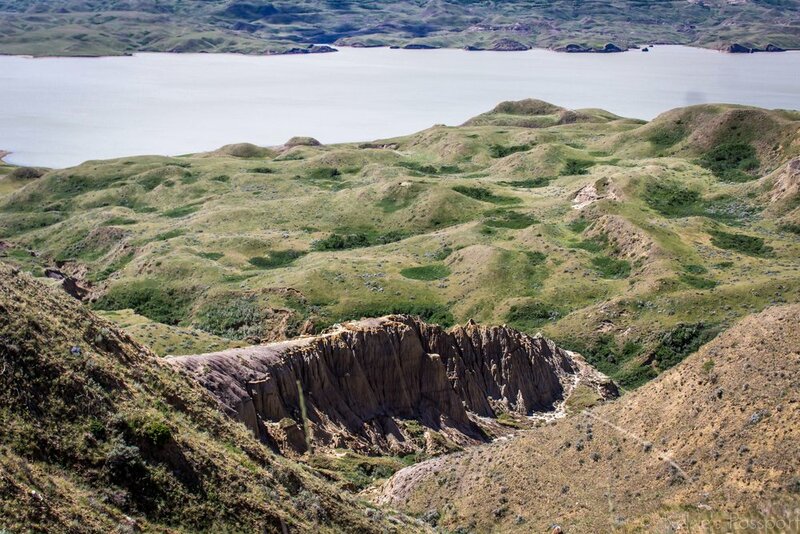 If you’ve never been up close and personal with the river hills of Lake Diefenbaker, I suggest you gas up the car and drive out. You won’t regret it. Be sure to check out the historic Jonesville School, located just a few miles out of the way! Read more about it here. -Clark’s Kafe - Facebook - try the dill pickle soup! -Prairie Lash Bar - Instagram - @prairielash - because who wants to worry about packing makeup? Book here. She also makes beautiful crafts and sells them out of her shop. Insider alert: you can also buy prints by yours truly ;) it’s a shameless plug and I’m ok with that. -Shear Essence Salon for a haircut, to buy hair products, or to just go in and have a chat with Natalie because she’s so nice. Facebook - book here. -BasketFull - cute gift shop in the gas station along HWY 342 - Facebook. Take your car across the Riverhurst Ferry. It’s like a free boat ride! 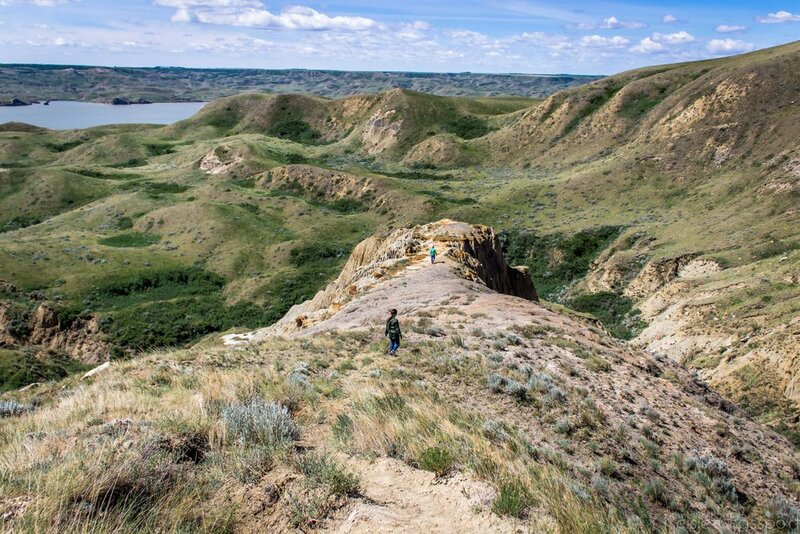 For everything else in the area check out Lake Diefenbaker Tourism!